Dr. Andrew Witrock grew up on Long Island. After receiving a Bachelor of Science degree in Biology from SUNY Albany, he attended Tufts University School of Dental Medicine. Upon graduation in 1986, he was accepted to the Post Doctoral Prosthodontic Program at SUNY Buffalo School of Dental Medicine. Dr. Witrock completed that program in 1988 and then returned to Long Island to open his dental practice. 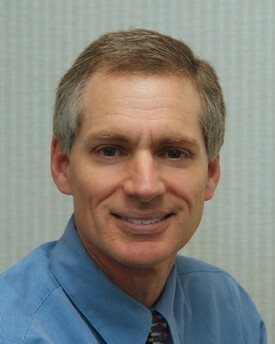 In addition to private practice, Dr. Witrock has enjoyed teaching Prosthodontics throughout the years. His experience includes fourteen years at Stony Brook University School of Dentistry, eleven as a clinical assistant professor and three years as a guest lecturer. As well, Dr. Witrock has had faculty appointments at SUNY Buffalo School of Dental Medicine and St. Charles Hospital in Port Jefferson. Dr. Witrock continues his involvement as an active member of the ADA, NY State Dental Association, Suffolk County Dental Society, and local dental study clubs. Currently he serves on the Suffolk County Dental Society District Claims Committee. Dr. Witrock has been married to Dr. Diane Axelrod for 22 years. They live in Port Jefferson and have three children. Dr. Witrock enjoys tennis and photography in his free time. He was an active soccer coach for the Three Village Soccer Program for many years and still maintains his involvement.